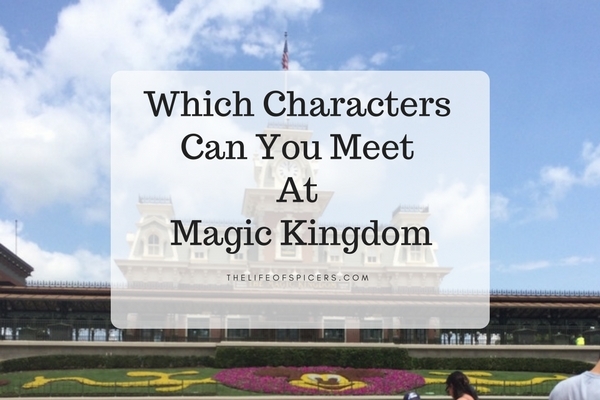 Where Can You See Characters At Magic Kingdom? Magic Kingdom is my favourite Walt Disney World park. It’s often the first park we visit whilst in Disney World, and it’s the park I plan to visit the most during our stay. 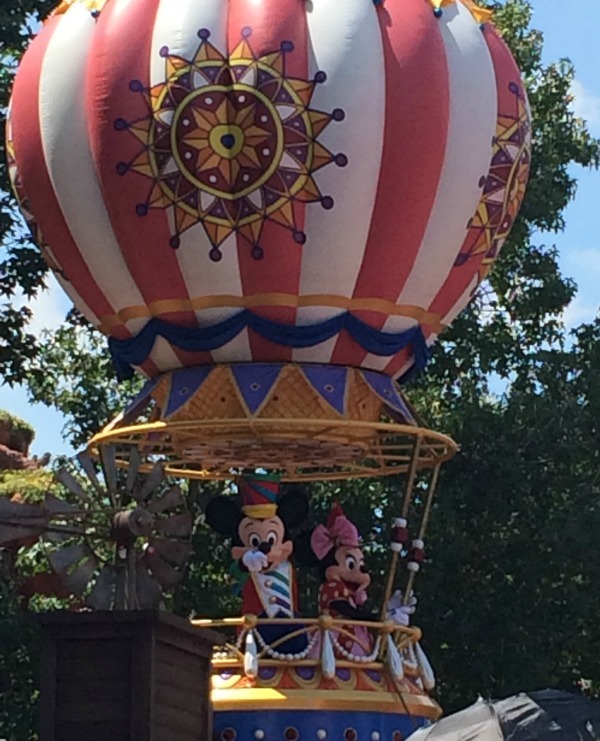 The characters at Magic Kingdom is part of the reason we love the park so much. The Magic Kingdom characters schedule does change, so it’s worth picking up a times guide on your way into the park. As you walk into Magic Kingdom, you have the chance to meet Tinkerbell at Town Square Theatre. Also waiting for you inside is Mickey Mouse. 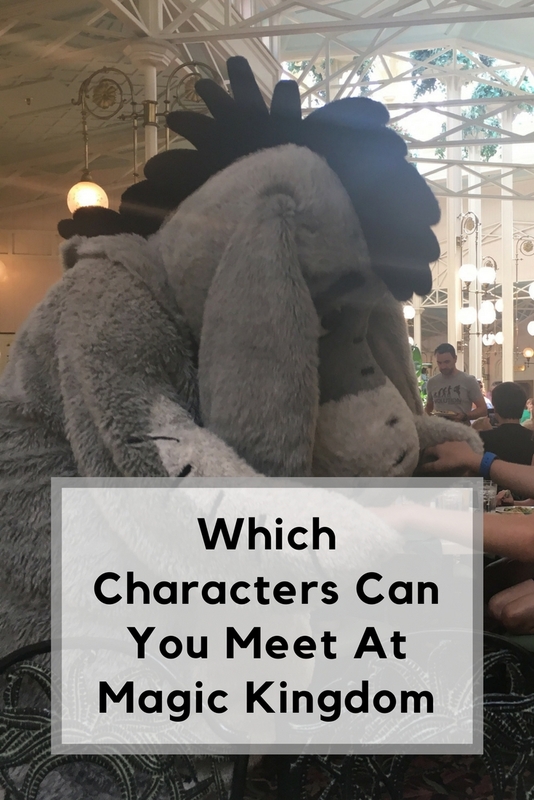 Lines for each character meet and greet are often quite short later in the day unless it’s a particularly busy day. 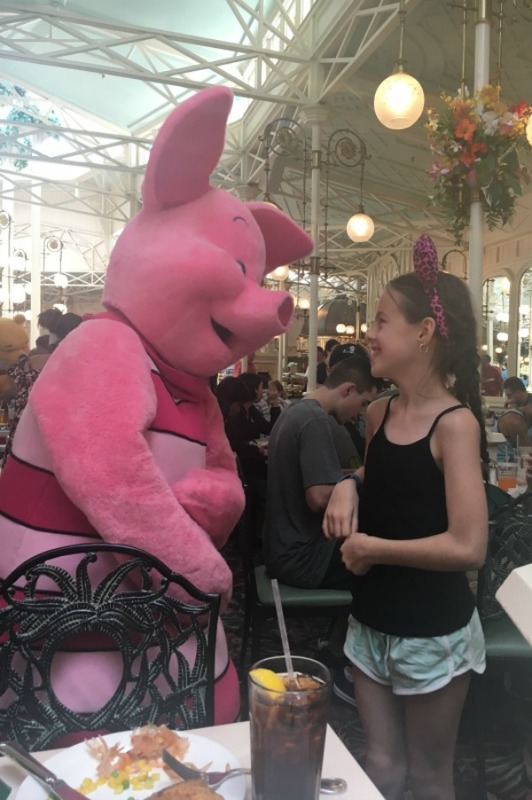 I would suggest a Fastpass if you really can’t miss meeting them, or visit either first thing or as you’re leaving the park. In front of the castle in the Hub area, you can often spot Mary Poppins waiting to meet her fans. Further on down Main Street, you have Crystal Palace, a character restaurant where you can meet Winnie The Pooh, Tigger, Eeyore and Piglet. The restaurant is a buffet restaurant serving breakfast, lunch and dinner. Read our lunch experience here. At the very top of Main Street inside the castle, there is a restaurant called Cinderella’s Royal Table. 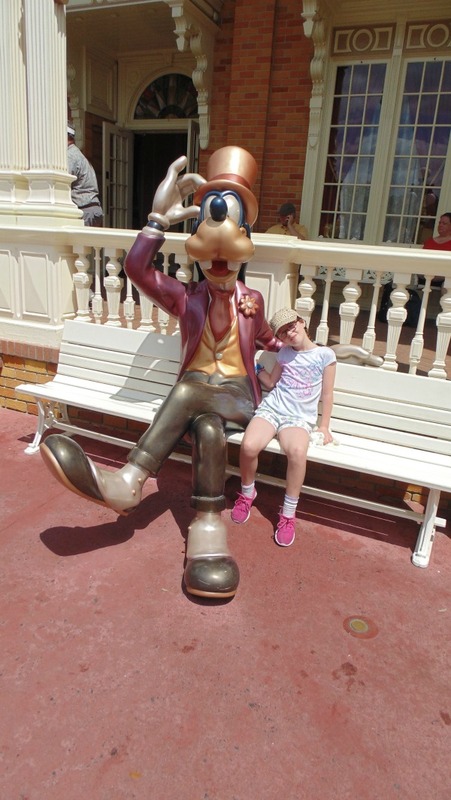 This is a great place for meeting Disney characters without long queues. Serving breakfast, lunch and dinner, you can meet Cinderella before you are seated for your meal, and a host of princesses during your meal experience. Princesses are subject to change but are generally Snow White, Ariel, Aurora and Jasmine. Our lunch experience can be read here. Deeper into New Fantasyland near the tea cup ride, you can often find Alice waiting to greet her guests. In the mornings, you may even find the Mad Hatter accompanying her, but this isn’t guaranteed. More often than not you will be able to spot the White Rabbit hanging around near the Tea Cups. Just by the castle, at random times through the day you can find the Fairy Godmother, one of my favourite characters at Disney World, and the stepsisters. If you don’t fancy meeting Ariel at Cinderella’s Royal Table, then she can be found in her very own Grotto next to Aeriel’s under the sea adventure ride. Onwards to the Beast’s Castle for dinner and you can stop on the way out to meet the Beast himself. He is only available to meet during the dinner service after 5pm. Read our dinner review here. If the Beast isn’t enough for you then you can pop next door to Enchanted Tales With Belle and meet the princess herself. One of the more popular Magic Kingdom characters, Gaston will be found next to his Tavern, just hiding out to the side, waiting to torment his people. Back into the centre of Fantasyland and opposite the Carousel, you will find the Princess Fairytale Hall. Inside you can meet four princesses. These are usually Cinderella, Rapunzel, Elena Of Avalor and Tiana. Merida can be found hidden in the Secret garden which is by Cinderella’s Castle and the Tea Cups. Pop over to The Adventures Of Winnie The Pooh and next door you will spot a meet and greet spot for Winnie The Pooh and Tigger. Daisy Duck, Minnie Mouse, Donald Duck and Goofy can all be found next to Storybook Circus at Pete’s Silly Sideshow which can be found near Goofy’s Barnstormer ride. Peter Pan can be spotted near Peter Pan’s flight and sometimes Wendy is accompanying him too. Pop over to the Magic Carpets ride in Adventureland and you will spot Aladdin and Jasmine out meeting their fans. Tomorrowland often have dance parties where the characters come out to play, but if you’re looking to meet Buzz Lightyear then he can be found near the Carousel of Progress. That naughty pair, Chip and Dale can be found over in Frontierland near the shooting gallery. Can you tell them apart? 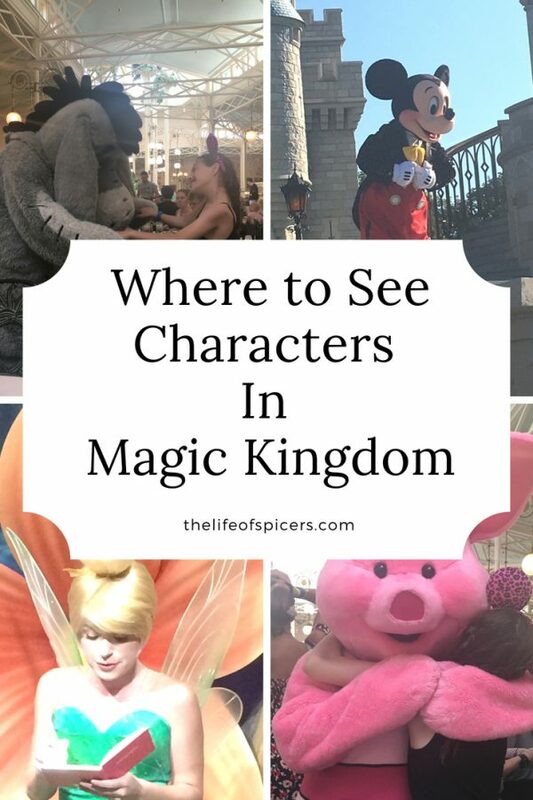 All characters at Magic Kingdom are subject to change and non are guaranteed, however this is a good guide of who you can expect to see where. 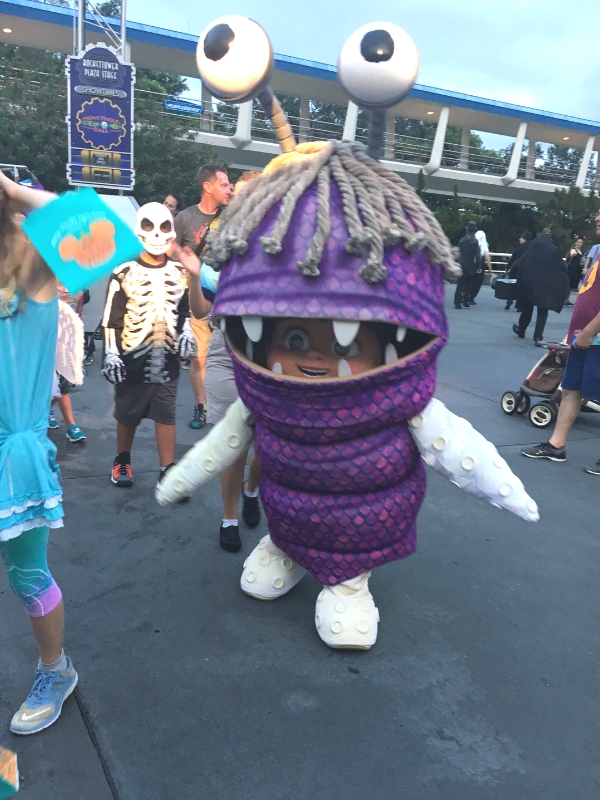 I recommend collecting a characters times guide as you enter the park to get accurate timings for each day. 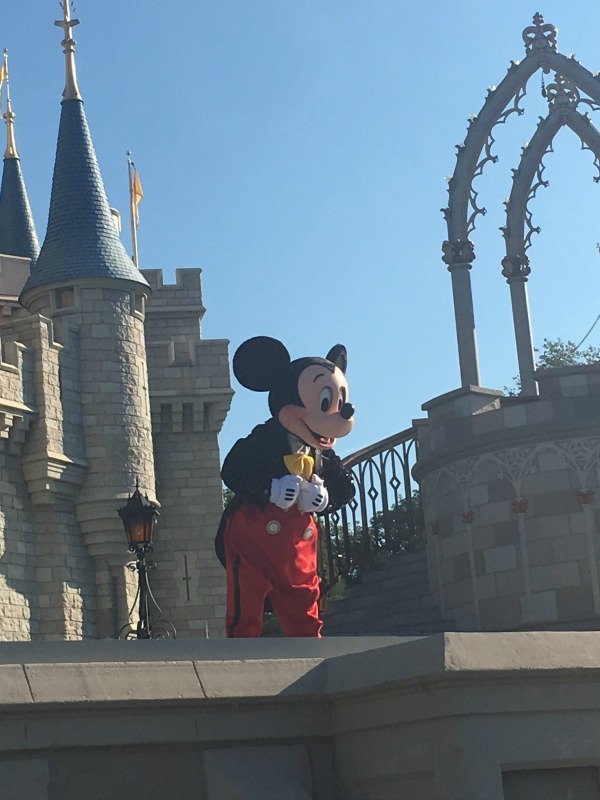 Whilst you’re in the Magic Kingdom park, you may want to check out these posts.